Illamasqua Nail Varnish in Venous was the only Illamasqua I saw at my Winners’ nail polish section! My heart leaped a little when I saw that pretty black box, alone in a sea of naked OPI and China Glaze bottles. It then fell a little when I looked at the shade, loved it, and realized I couldn’t remember whether I already owned it. (Hahahaha!—for whatever reason, it totally slipped my mind with the previous Essie purchase that I already had two of the shades!) Anyway, I did what any reasonable Winners shopper does and tucked the Illamasqua into the back of the display. (I’m not the only one who does this, right? Please don’t make me feel badly about it!) I came back the next morning to get it after checking with my database that I did not, indeed, already own that shade. $6.99 for Illamasqua Nail Varnish? Score! 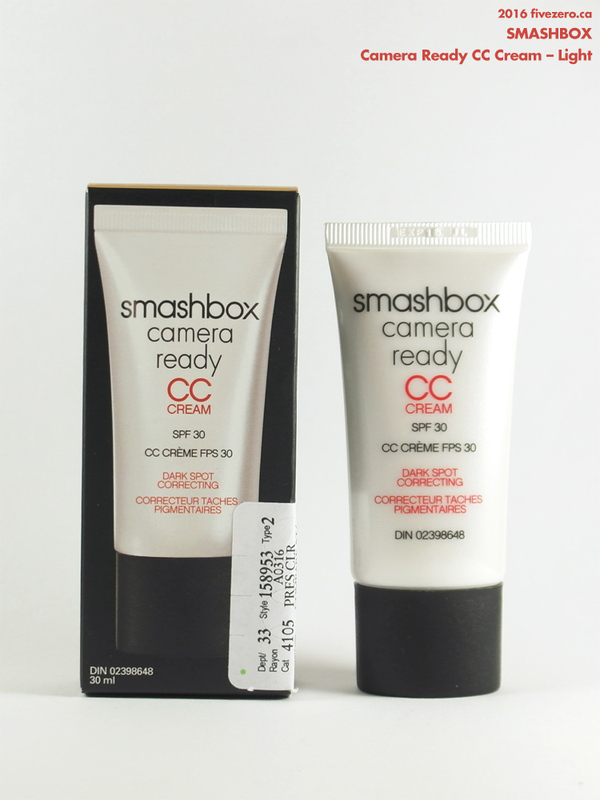 Smashbox Camera Ready CC Cream (Broad Spectrum SPF 30 Dark Spot Correcting) is a product I’ve been eyeing for some time, but didn’t feel like shelling out CA$50 for it. Lo and behold, I found it at Winners for half the price. In store, I hadn’t decided whether Light or Light/Medium would be better—there was only Light at Winners, so that’s what I got. It does expire this summer, but I think that’s just for the SPF 30; I usually wear a sunscreen under my foundation, anyway. If the color isn’t a perfect match, I think this is the sort of product that would probably work well mixed with either another foundation or sheered out with a moisturizer. Looking forward to giving this a try! Finally, fellow Canadian blogger Stash Matters’ recent under $20 challenge prompted me to snag W7 HD Foundation in the same shade, Buff, when I saw it at Winners for $4.99. I think the foundation is possibly a touch light for me, though she seems totally right about the undertone looking good for those who are yellow-toned. I’m really keen to try a product she says works great. I love a good Winners score! And YOU are one of those people who hide stuff! Well, it’s not so bad that you just hid it in that display. I’ve honestly seen makeup hidden behind the hair products or in the shoe department lol. I’m one of those people who reach allll the way into the back so I will find your stuff! 😛 I saw a couple of Illamasqua polishes at Winners too but one was a neon ORANGE and the other was Creator which I already owned. Do you even wear foundation on a daily basis! If I’m not really going anywhere, then I don’t, but otherwise I do need some coverage. Stupid stress-related spots! Haha, that’s not a bad idea! 🙂 I might if I don’t end up regifting it or something. Thanks for visiting! Great haul! That Illamasque shade is just soo pretty! Can’t blame you for hiding that at the back of the display (I think we’ve all done that at least once).